The range consists of Waterloo high-fermented beers that are brewed in Belgium with care, using the finest natural ingredients. 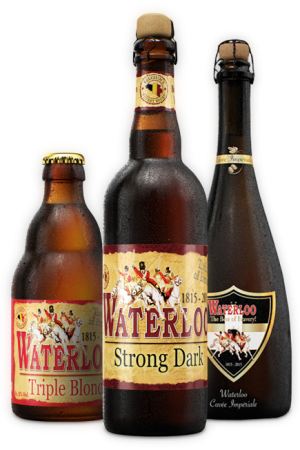 Waterloo Triple Blond and Strong Dark are the two flagship products available throughout the year. Exclusive seasonal beers such as Waterloo Récolte and Waterloo Cuvée Imperiale arrive punctually to complete the selection. Waterloo Beer is brewed with care in the Mont-Saint-Jean farm, the famous ‘English Hospital’ of the Battle of Waterloo. More than ever, this high-quality beer is a symbol of authenticity, craftsmanship and courage. In 1815, during the famous conflict, the troops were supplied with high-fermented beer that gave them strength and courage to face each other. Two centuries later, Anthony Martin is proud to revisit this moment in history by reviving the local beer quality, prepared strictly according to the original recipe: Waterloo – beer of bravery! The Waterloo chalice is more than just a simple drinking receptacle. 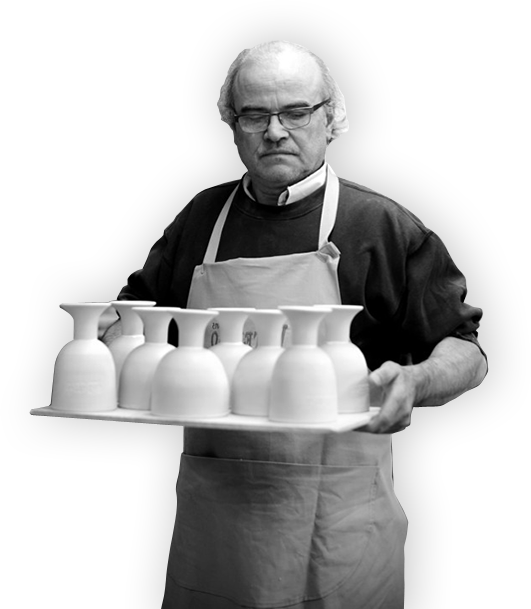 Each piece is unique and hand-crafted by one of the most skilled master potters of Belgium, whose pottery dates as far back as 1828. A truly artisanal item, the chalice epitomizes all the mastery with which Waterloo Beer is brewed. “Modernity in the service of tradition” is a quote that applies perfectly to this new brewery. The majority of the products in the Waterloo range is brewed within the historic Mont-Saint-Jean farm, with the greatest respect for tradition.